Hello guys, I'm new in here. 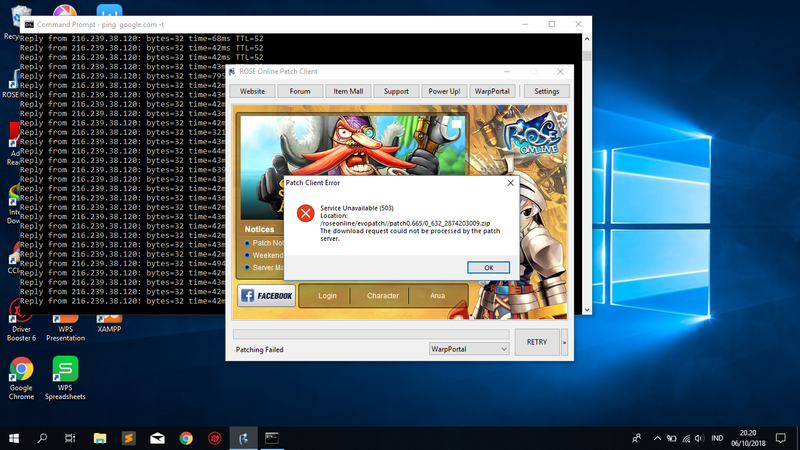 I want to ask.. how to fix this error?? Thank you before! Edited by vizt3r, 06 October 2018 - 03:31 AM. Sorry you are having this issue. Which country are you trying to connect from? If the problem persists, check your firewall or anti-virus program to be sure nothing is preventing you from completing the patching process. If you are still having issues, please make a ticket so support can assist you. Good luck! I hope you are able to play soon.